Jeremy Taylor has been named the Power's new General Manager. 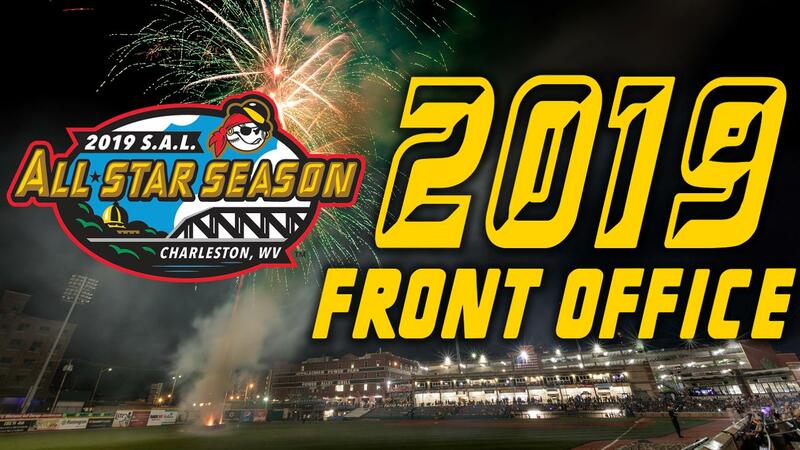 CHARLESTON, W.Va. (January 31, 2019) - The West Virginia Power, the Low-A South Atlantic League affiliate of the Seattle Mariners, is proud to announce several front office moves prior to the 2019 season, highlighted by the elevation of Jeremy Taylor to General Manager. Two former interns received full-time offers this past offseason, while several others added on to their organizational responsibilities and Dean Thomas joined the club as their new Game Entertainment and Production Manager. Jesus Paez joins the full-time staff as the team's Stadium Operations Manager, while Lindsey Webb comes on as the Suites and Community Outreach Coordinator. Meanwhile, Nathan Richard has become an Account Executive in addition to his food and beverage responsibilities, and Hannah Frenchick has assumed the title of Community Outreach and Merchandise Manager. Taylor moves into the General Manager role after spending the past six seasons as the Power's Assistant General Manager with a focus on Stadium Operations. The Charleston native is entering his 16th season with the team after signing on in 2004 as their Retail Intern. Prior to becoming the Assistant General Manager, Taylor was the club's Director of Operations, Director of Sales and an Account Executive. JT replaces long-time General Manager Tim Mueller, who is moving up the ladder of Minor League Baseball and taking a key leadership job as the new Assistant General Manager and Director of Sales for the Double-A Mississippi Braves of the Southern League. "As someone with experience dating back to the Alley Cats at Watt Powell Park, Jeremy Taylor knows our ballpark, our market and our total operation better than anyone else, and he is uniquely positioned to lead our front office into our All-Star season," said Power Managing Partner Tim Wilcox. "I am also grateful for Tim Mueller's efforts here - especially in the transition since this new opportunity opened up to him - to lay a solid foundation for the 2019 season and beyond. We are now in a position to make the 2019 season the best one yet at Appalachian Power Park." Mueller provided leadership as the Power's General Manager for the past seven years, during which time the club installed a new video scoreboard, replaced the ballpark's playing surface and secured the 2019 South Atlantic League All-Star Game. "I have really enjoyed living in Charleston, promoting professional baseball here and getting to know thousands of wonderful people, many of whom have become close friends," Mueller said. "When another good friend of mine recently became the general manager of the Mississippi Braves, he called and asked me to join him to help lead that franchise, and ultimately convinced me to move down south and up the MiLB ladder." Paez remains in the Operations Department with his new title as Stadium Operations Manager. The Point Park University alumnus came on board in 2017 as a general intern before moving into a specialized role in 2018 as an Operations Assistant. The 2019 season is Paez's third with the Power and fourth in baseball after spending 2016 with the Washington Wild Things of the Frontier League. Webb found herself with the Power late in the 2018 season as a general intern, but quickly earned a promotion to Suites and Community Outreach Coordinator once the offseason hit. A proud University of Kentucky graduate, Webb will embark on her first full season with the Power in 2019, as well as her first full season in Minor League Baseball. The Huntington, W.Va., native is a huge fan of the Kentucky Wildcats and enjoys going to country concerts as well as spending time with family and friends. Richard, like Paez, initiated his time with the Power as a general intern in 2017 before shifting to the club's Food and Beverage department in 2018 as an assistant. The Toms Brook, Va., native will continue to help out with the concessions operations at Appalachian Power Park in 2019, but will also be a part of the team's sales efforts as an Account Executive. Richard graduated from Old Dominion University and immediately jumped right into baseball, working for Shenandoah University in Winchester, Va., and the Woodstock River Bandits of the Valley Baseball League before coming to Charleston. Frenchick, now entering her fourth season with the Power, has held a multitude of roles within the organization. After starting off in 2016 as the Box Office Manager, she assumed control of the team's social media and merchandise efforts in 2018 before securing a foothold in the Community Outreach department this year. A native of Minnesota, Frenchick devoted eight years of service to the United States Army as a patient administration and public affairs specialist. The University of Southern Maine alumnus started her MiLB career with the Portland Sea Dogs while also spending time with the Portland Pirates hockey team and the Tiger Woods Foundation before relocating to the Kanawha Valley. Thomas comes to the Power after spending the 2018 season with the Lansing Lugnuts as a Production Assistant. A 2018 graduate of Eastern Michigan University, Thomas enters his second year in MiLB and third in baseball overall after interning with the Battle Creek Bombers in 2017. A Lansing, Mich., native, Thomas enjoys playing basketball and wiffle ball, running 5Ks and watching lots of movies. He is also a big fan of the Detroit Tigers, Detroit Lions and the Michigan State football and basketball teams. "We are very excited about the staff we have in place for the 2019 season," Wilcox said. "Each and every one of our staff members is committed to making the 15th year of West Virginia Power baseball, along with the All-Star Game, truly remarkable, and we are very confident in their abilities to execute that goal."